The Neel Parent Support Group, was formed in 1998 by parents of youths and young adults who are homeless and aging out of foster care with mild to moderate learning, emotional and physical disabilities. The objective of the group is to help financial disadvantage families, to become better advocates for their loved ones, ensuring they have the best quality of life possible. The group also addresses the isolation and loneliness that some parents and caregivers undergo when caring for a disabled child or loved one. Our goal is to provide parents, caregivers and family members with access to information, resources and support for building happy, healthy families. 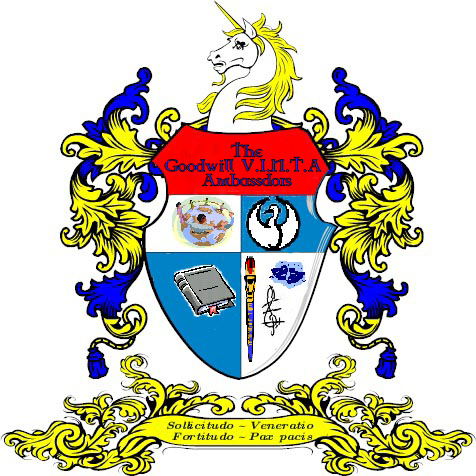 In 1999 we started The Goodwill V.I.N.T.A Youth Ambassadors, providing them regular scheduled art, community service projects, educational and social activities. These activities for both youths and young adults with and without disabilities to accomplish together, giving them the opportunity to recognize and appreciate each other's talents and abilities. Young people with disabilities should have the same opportunities as the non-disabled when it comes to education, social opportunities, and the opportunity to reach their fullest potential. Young people with various disabilities have the same dreams, want and desire as any other person. Some will achieve them and others will enjoy the journey. The Neel Parent Support Group has helped the Youth Ambassadors to implement their art, community service projects, educational and social activities. For the past ten years we have served individuals with the following disorders; Anxiety Symptoms, Aspergers, Asthma, Attention Deficit Disorder (ADD), Attention-Deficit Hyperactivity Disorder (ADHD), Autism, Cancer, Cerebral Palsy, Diabetes, Down Syndrome, Dyslexia, Epilepsy, Fetal Alcohol Syndrome, Hypoglycemia, Juvenile Arthritis, Lupus, Multiple Sclerosis, Rheumatoid Arthritis, Sickle-Cell Anemia and Visual Impairment. Mild Bipolar Disorder, Cognitive Disorder, Depression, Impulse Control Disorder, Obsessive Compulsive Disorder (OCD), Posttraumatic Stress Disorder and Schizoaffective Disorder. Young people who are homeless and aging out of foster care. To provide a safe, supervised after school, weekend and summer programming with expanded hours for working parents. To provide alternative learning opportunities, to help both youths and young adults who are homeless, aging out of foster care and with and without disabilities to improve their academic performance in school. To provide innovative and challenging, cultural enriching activities. That will help develop better decision-making ability, character building, conflict resolution and coping skills. To, foster a better understanding among youths and young adults from diverse groups. To, address the inactive and unhealthy lifestyles of children, adolescent and youth adults. To, address isolation and loneliness that some adolescent and youth adults endure because of their disabilities. Increase the accessibility of information to Parents and Caregivers and families members. Humanitarian and Community Outreach Projects, that beings awareness to social issues locally, state and worldwide.